Best part of summer is a sun kissed tan, but if you live in the scorching heat like I do right now, getting your dream tan naturally is close to impossible. With the sun blazing at 38 degrees Celsius, the human body will be able to sit and comfortably tan for a maximum of 30 min, not enough to get your golden look. Not only can you not handle the heat, think of the long term damage you are causing your skin and hair! For all the above mentioned, I have resorted to the love of self tanning. Be careful though, everything in moderation. My choice would be ‘a week in Ibiza’ from Lancaster, I would go for 02. Medium just to guarantee gradual darkening. 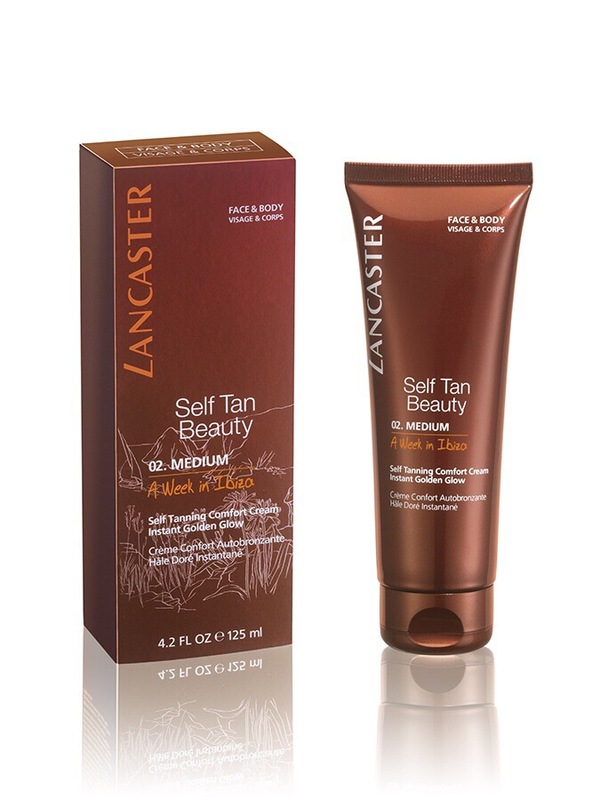 Lancaster is on top of my list for tanning products. Right at the start of summer I stock up on my collection for the season. Best part? Strut that tan all year long!